K11 Owners Group :: View topic - Gear Oil leaks when bike is on center stand. Gear Oil leaks when bike is on center stand. Posted: Thu Dec 13, 2018 1:37 am Post subject: Gear Oil leaks when bike is on center stand. If I put the bike on the center stand and allow it to run till its up to running temp. the bike will.leak gear oil. I'm pretty sure its gear oil because years ago I added final drive/gear oil after replacing a starter clutch.This smells the same. I purchased the bike with about 70,000 miles on it. Bike runs great. Engine oil level never changes.this only occurs when I run the bike to operating temp or beyond while it's on the center stand. It does not happen on the side stand., doesnt happen if I only run it a few minutes on the center stand. Posted: Fri Jan 18, 2019 12:02 am Post subject: Re: Gear Oil leaks when bike is on center stand. I thought a little harder about this and looked a little closer. I need to get my bike up on a stand but I think its transmission oil. That makes a lot more sense because it drips down onto the exhaust. Cant be gear or final drive oil. Has to be from the transmission. I seems to only leak if I leave the bike on the center stand and let the bike come up to temperature. As far as I can tell its doesnt like if I start it , jump on a ride. Never had any problems shifting. What do you mean it can't be gear oil? That's what's in the transmission. Sounds like the boot at the rear end of the clutch pushrod might be worn and leaking. Not a big deal. You might want to check the transmission oil fill level, make sure that it isn't overfilled, then leaking out of the top side vent. I discovered the overfilled transmission after riding it from Malibu to SF where I stopped at a friend's place to give the bike a post purchase once-over and took the transmission fill plug off to check the gear oil level. Initially I was thinking final drive oil, but the location of the drip kind of rules that out. In the spring I'll check closer but my guess is that boot your showing is the issue. Just threw me for a bit cause I never seemed to have the issue until I decided to flush and refill the cooling system. That required me to have the bike on the center stand running into full operating temperature range. These are common on all 'K' bikes up to and including the K1100. Easy and cheap to replace but a bit of a fiddle to refit. Everything is straight forward until you have to fit the flimsy screw clip to hold it onto the back of the casing. The last time I replaced one on my K75, I finished up using a zip tie and that was 6 years ago and it is still good. Ok put in a new battery and cranked it up today. Same thing as in the fall. Started leaking after running for about 5 minutes on the center stand.i attached some pics. Might get a video in later. You haven't said whether you changed the boot or not. No I have not changed the boot yet. To cold right now. I need a nice warm day and some time. Its leaked quite a bit in the last year so by now it must need some gear oil too. 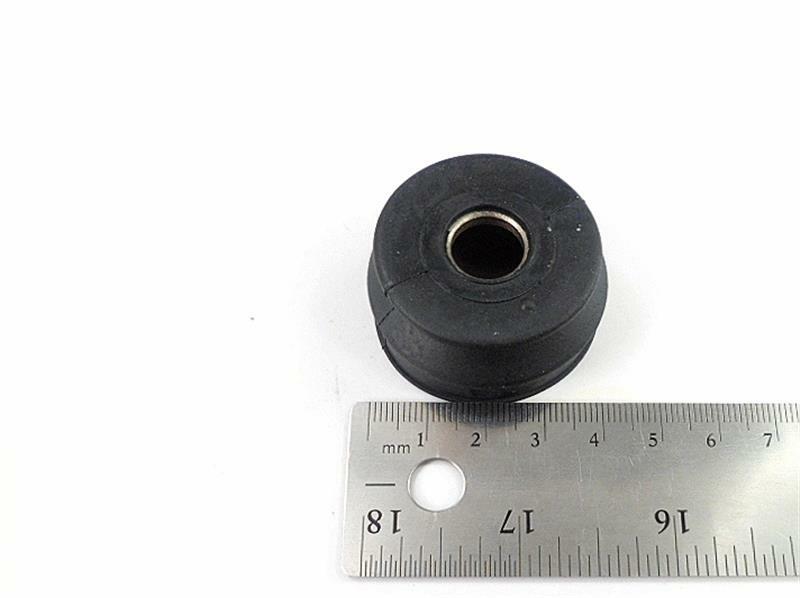 Any idea what this part is called on the BMW parts listing? I see BMW list a gasket set (kit);as part of the transmission that shows the pushrod . Part # 23001464048. I wonder if that includes the part I need. Anyone ever order that transmission gasket kit? 23131338731 (cup) is what you need. That looks more like a seal that the push Rod passes through. Is this the part referred to (circled in red). 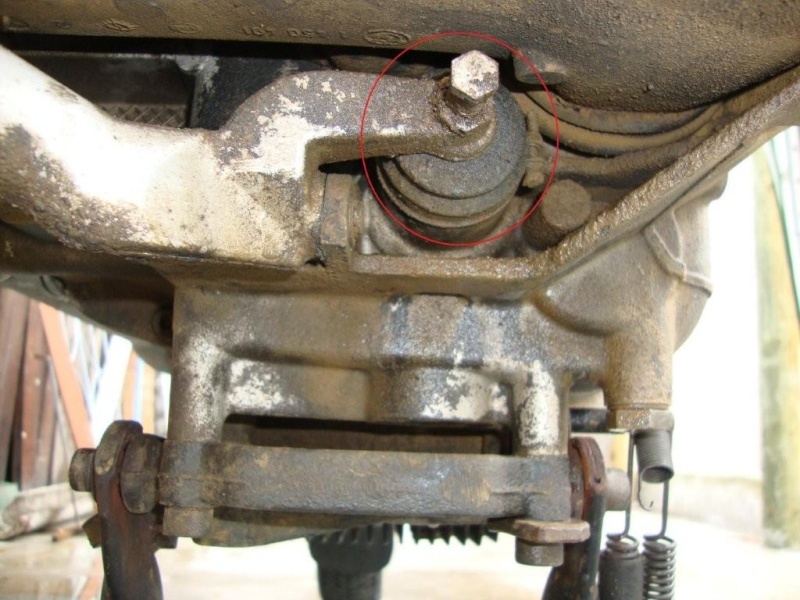 The part circled looks more like a.boot kind of like on a car axle. Although I suspect that seal/grommet would be behind that and potentially the cause. It is too cold for me to mess with this right now. We are expecting more snow and this.might be best addressed using a lift but I do want to be ready when we get back above 40 degrees. Ok looks like I will need part #2 possibly 3. Probably 5 and 6 as well. You just need the #6 cup. The hose clamp is worm driven and reusable.